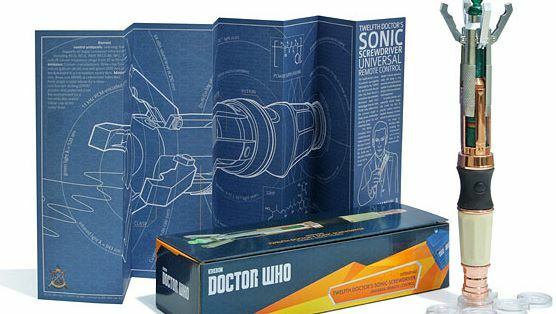 If you are a “Doctor Who” fan and have always dreamed of owning a functioning sonic screwdriver, then ThinkGeek has an answer for you. A programmable remote control! Granted it is a little bit expensive but it works with a flick of the wrist and will make you feel like a legit Time Lord. Modeled after the 11th and 12th Doctor’s version of the tool, the remote looks just like the prop from the show but can be programmed to learn control codes from any regular TV remote. It works by using gestures: rotate clockwise and counterclockwise to adjust the volume; flick up and down to change channels; and, pull back to open the DVD player. 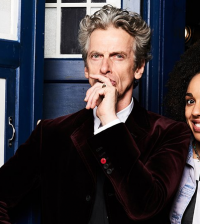 Each gesture triggers a Sonic Screwdriver sound effect and the tip lights up.